Home is the place where you spend most of your time. When you are newly married, creating the perfect personal space for yourself and your partner is very important. There are so many choices to make in terms of furniture and accessories but it is all worth your time. Once you find those perfect items for your home, the result will make you feel proud of yourself. Today we will focus on curtains and draperies. Let’s analyze these two items and see which might be the best option for your home as a newly married couple. Are you asking yourself whether curtains and draperies together or only one of these two items might be the right choice for your home? First of all, you should know that using curtains and draperies is a great way of changing the look of your home interior. Second of all, these items enable you to easily filter natural light. In addition, these items add extra texture as well as proper dimension to your newlywed home space. Furthermore, these can do wonders when it comes to softening the harsh window edges in your house. All you have to do know is make your research, choose the right type, size and style thus find the perfect curtains or draperies for your comfortable personal space. Let’s see which might be the best option and why. 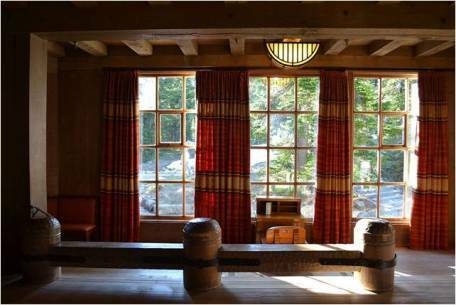 Curtains and draperies are usually used with the same purpose and do not seem to be different in any significant way. However, these items are quite different from each other if you analyze them in detail. Let’s see what differentiates these items and who wins the battle for being more advantageous according to your requirements as the newly married couple. 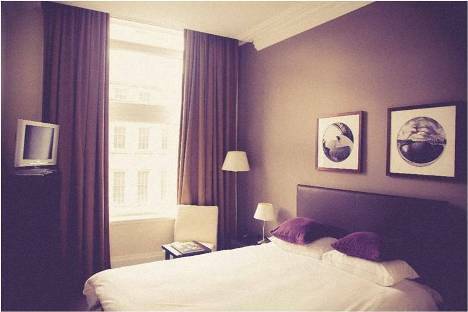 Curtains are unlined fabrics that are widely appreciated for being light weight. They canbe purchased in any required size according to your requirements. They can be used attached to a rod by using grommets, rod pocket casing, tabs and specific rings. On the other side, draperies are lined fabrics that are heavy weight. They can be used hanging on the rod with the help of specific hooks that enable them to traverse. From this point of view, we consider curtains more advantageous for users due to their light weight feature and ease of use. In the end, it all depends on your requirements. The market is full of offers and fabric options for you to consider when searching for the perfect items that might improve the overall look of your home interior. You can find cotton, linen, sheer or lacy curtains. 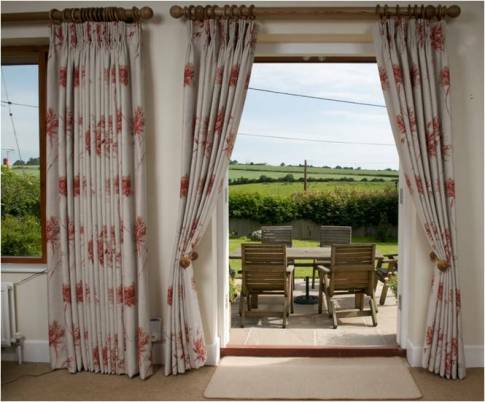 For a newlywed home space we recommend cotton or linen curtains because these enable you to have your privacy. Draperies on the other side can be made of silk or velvet. These materials are more expensive than the ones used for curtains but offer a great looking finish for the space. From this point of view, we would say that cotton and linen curtains are the first best choice in terms of price and quality. If you do not mind spending more then silk or velvet draperies might be the right choice for you. Whenever you start searching for new items for your home, you should not only analyze the options for their design but also in terms of utility. In comparison to draperies, curtains offer less privacy due to the type of materials used for their creation. However, if you live in a large space they are more recommended for being light weight and because a large home is always better protected from intruders than an apartment. All in all, as far as utility goes draperies are the best choice for small apartments whereas curtains make a great choice for large homes. If you consider spending money on making your interior space look great then elegance is definitely one of the features that you should have in mind. From this point of view, draperies gain points again because they look much more elegant that curtains. Curtains are more of a utility item rather than an elegant accessory for your home. Draperies come available in rich fabric that manages to transform any space in an elegant one when properly chosen to match the overall décor. Taking all of the above mentioned aspects into account, we can say that draperies are the best choice in terms of fabric and quality which are of utmost importance for a highly elegant space. Curtains are also a good choice but not when you live in a reduced size apartment where you can only use a few interesting accessories to give it the nice overall look you want. However, curtains are the best choice for a large home, where you need less help for achieving proper privacy and need more items so the overall budget needs to be considered.